LEGO, our collective childhoods are thanking you right now. 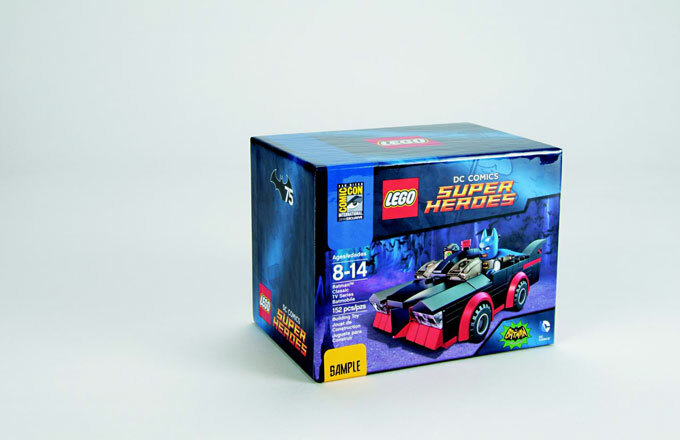 The only name worth knowing in building toys (sorry, Lincoln Logs) is dropping a bunch of cool, new products to celebrate San Diego Comic-Con and some big pop culture anniversaries, but none is cooler than their LEGO Super Heroes: DC Comics San Diego Comic-Con Exclusive Batman Classic TV Series Batmobile. Released in conjunction with the 75th anniversary of the Batman franchise, the LEGO version of the caped crusader's whip is a spot-on recreation that inspires loads of nostalgia with its classic Cadillac grill and tailfins. As a bonus, minifigurines dressed in Batman and Robin's classic get-ups come with the Batmobile. Something about seeing Batman in that blue mask and cape and Robin in those green tights just make us all warm and fuzzy inside. The set is premiering and being sold exclusively this week at Comic-Con in San Diego, so get the hell over there, or make your friends pick one up for you.